So your security provider failed you, and you were a victim of ransomware. What do you do now? It is likely you have a ransom note on your screen stating what you need to pay, and how to do it. What they don’t tell you is just how difficult that will be. Often times hackers will try and make it as easy as possible for you to send them money — but they also want it to remain anonymous. Therefore, users will have to convert their dollars into a digital, non-traceable currency, like bitcoins. Do you know how to do this? The process isn’t too difficult, but it can be time consuming. Many legitimate websites like CoinBase, require an authentication process. You’ll need to register, and provide your banking information for the transfer of funds. Once the authentication process is complete, the transfer and conversion will take place. Again, this takes time. Another method would be to find your nearest bitcoin ATM. This not only allows for instant conversion, but everything remains anonymous as well. However, this comes with a significant price tag, with fees based on geographical areas. You’ll also need to determine which services are provided at the ATM, some offer only the option to buy crypto-currencies, while others allow you to also sell. If you’re like me, and your local bitcoin ATM only allows you to buy bitcoins, for the “small” fee of 12%, you will still need to find a way to send them to the hacker. Now I’m going to stop right there. Why? Because this sounds like a ridiculous amount of work, and you’re not even halfway there! If you pay the ransom demands, you have to wait for the encryption key — assuming the cyber criminals even give it to you. Then it becomes your job to decrypt all of the files they locked. How about instead of all this, you focus on preventing the ransomware attack and keeping timely data backups. Preventing cyber attacks is not impossible, but does require a proactive approach. 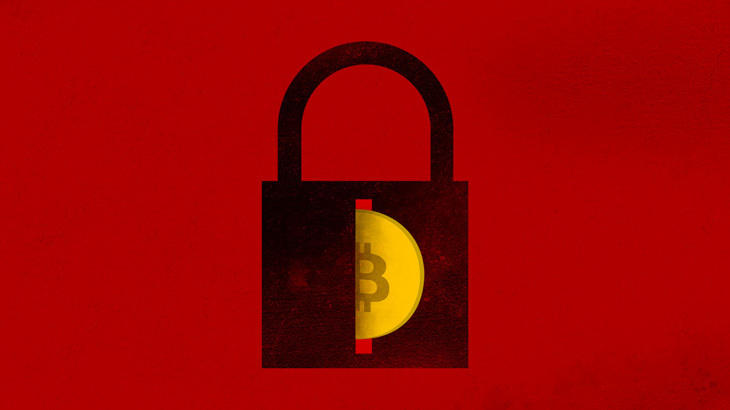 Newsletter, tips bitcoin, digital currency, ransomware. permalink. When my computer was “kidnapped” and the message said to pay so much in bitcoin, I called Carbonite, which I pay to protect my files and keep them saved should my computer crash. They knew what to do, and I didn’t have to pay a cent – crypto or coin. Great job! Having backups is a great practice to keep over time! Just make an image backup of your machine to an external device, and disconnect it. Back up changes as soon as you have done enough work that you don’t want to do it again. If you get hit with ransomeware, just wipe your machine and restore your backup(s). Problem solved. Now ransomeware is just a time waster, and not a disaster, so preventing it is a convenience and not a life or death issue.